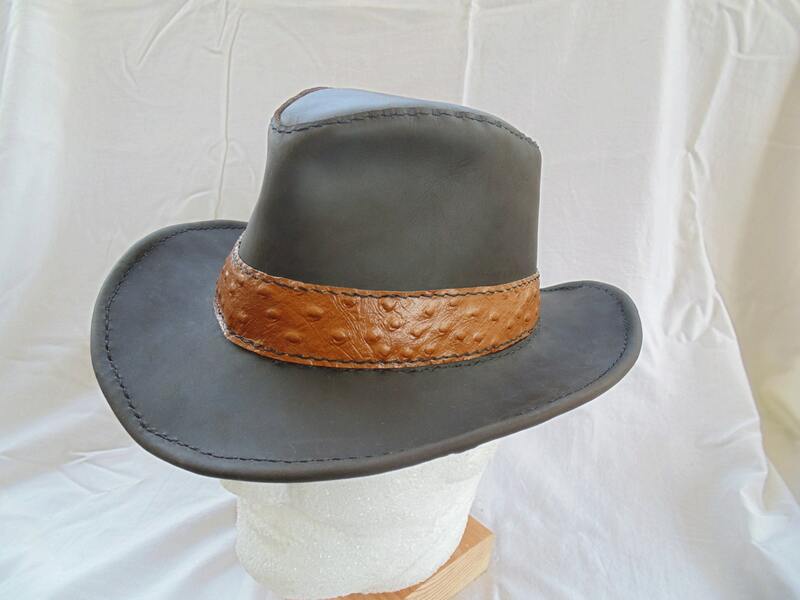 Soft stone oil cowhide with ostrich embossed pig skin hatband. 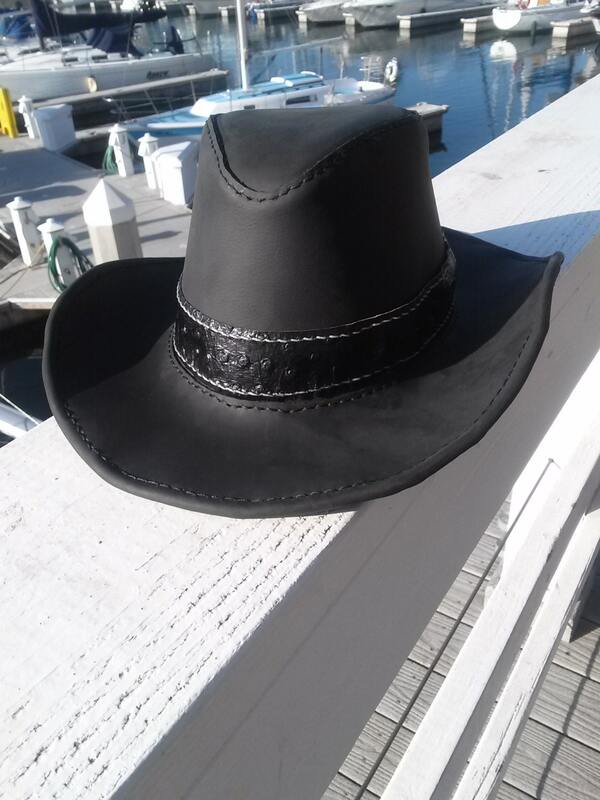 Chose all black or chocolate brown with tan hat band. These hats are made to order with your specified size. Can be made with or without sweatband on inside.